William Morrow Paperbacks, 9780062859457, 256pp. 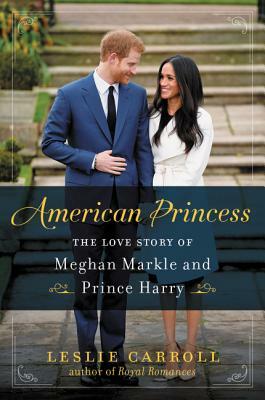 A behind-the-scenes look into the life of Meghan Markle and her romance with Prince Harry—a dishy, delightful must-read filled with exclusive insights for anyone obsessed with the Royal Family. Leslie Carroll is the author of twenty books in three genres, including a series of five nonfiction titles on the loves and lives of European royalty: Royal Affairs, Notorious Royal Marriages, Royal Pains, Royal Romances, and Inglorious Royal Marriages. She also wrote an illustrated hardcover “coffee table” book on a thousand years of British royalty commissioned by Sterling, the publishing arm of Barnes & Noble. She and her husband divide their time between the high-rises of Manhattan and the high elevation of Denver.